One day, the Castro regime will end, and the Cuban people may have the right to decide which elements of ‘socialism’ they will keep and which they will jettison. It will be their decision, of course, not the decision of any American official sitting in an office in Washington. Yet the Trump administration’s decision last week to roll back some (importantly — not all) of the changes that characterized the Obama administration’s opening to Cuba makes that day more difficult to see on the horizon. After just over five months in office, US president Donald Trump’s decision on Cuban policy almost perfectly crystallizes the way decisions are made in his administration. Trump was all over the place on Cuba in his improbable 2015-16 presidential campaign but by the time of the general election, Trump was promising Republicans — including older Cuban Americans in electoral vote-rich Florida — that he would roll back the Obama administration’s overtures. Back from Miami where my Cuban/American friends are very happy with what I signed today. Another campaign promise that I did not forget! In reality, Trump’s policy rolls back very little. The hallmark of the Obama-era, Pore Francis-brokered deal — reestablished diplomatic relations and reopened embassies in Havana and Washington — is unchanged. The direct flights that many US carriers now operate from throughout the United States will continue. Trump will not restore Bush-era limits on Cuban Americans to travel back to the island or send money back. US tourists who continue to travel to Cuba under the new regulations will still be permitted to bring home some of Cuba’s famous cigars and rum. Nor does Trump’s new policy reinstate the ‘wet foot, dry foot’ policy that the Obama administration ended on January 13, which previously permitted all Cubans who reached US soil to remain in the United States (while repatriating Cubans intercepted at sea). India’s prime minister Narendra Modi can breathe a sigh of relief about this spring’s state elections: in none of the three biggest prizes (Kerala, Tamil Nadu and West Bengal) is his Hindu nationalist Bharatiya Janata Party (the BJP, भारतीय जनता पार्टी) a local presence. That means, if nothing else, Modi and his allies will not be blamed for yet another state-level electoral setback of the kinds that his party suffered in Delhi and in Bihar last year (though elections in Assam are expected to be fiercely contested by the BJP). Since mid-April, elections have been underway in five states, the results of which will be announced Thursday, though exit polls are already giving Indians an idea of who might triumph. In West Bengal, the biggest state-level prize of India’s spring elections, a popular chief minister, Mamata Banerjee, is attempting to hold onto power just five years after ending 34 consecutive years of communist rule. Voting took place in six phases between April 4 and May 5. Between 1977 and 2011, the Communist Party of India (Marxist) (CPI(M)), a left-wing splinter group from what was then India’s main communist party, governed the state as part of the Left Front (বাম ফ্রন্ট) coalition. By most accounts, communist rule in West Bengal wasn’t incredibly successful in boosting growth, despite a sweeping land reform and other efforts to boost nutrition and anti-poverty measures. In the 2011 election, Banerjee (pictured above), known simply as ‘didi‘ (‘sister’ in Bengali), won power in a lopsided victory. 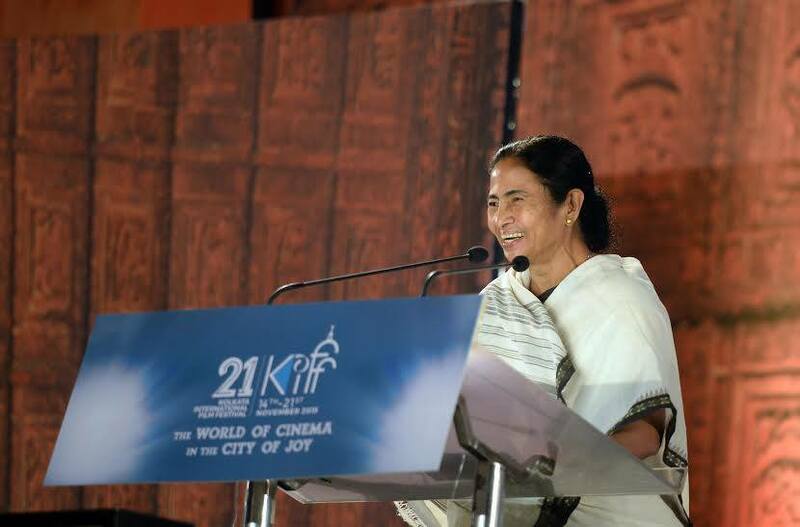 Banerjee, who began her career in the Congress Party, formed the All India Trinamool Congress (AITMC, সর্বভারতীয় তৃণমূল কংগ্রেস) in 1997. Going into the elections, she and her allies controlled 227 of the 294 sets in the legislative assembly as a result of the last election’s rout. In the current election, the Left Front formed a rare electoral alliance with the Indian National Congress (Congress, भारतीय राष्ट्रीय कांग्रेस), struggling for relevance after its national defeat in the 2014 elections and the erosion of its power at the state level both to Modi’s BJP and to regional parties like Banerjee’s AITMC. Despite the fact that Congress and the West Bengal communists appeal to very different constituencies, the alliance has worked out better than perhaps expected. Though we normally think of the Communist-ruled Vietnam as an autocratic country, it too has politics — and it even has elections. Vietnam’s messy politics have been on a rare, full display over the course of the past month in the lead-up to this week’s 12th party congress of the Communist Party of Vietnam (Đảng Cộng sản Việt Nam). Vietnam’s ruling party will elect a central committee of between 160 and 180 members, a smaller politburo of 16 members and, from among the politburo’s ranks, the party’s general secretary, Vietnam’s president and Vietnam’s prime minister. It’s as if the United States were selecting, in one eight-day period, the American president, vice president, executive cabinet chiefs and congressional leadership, in a secret conclave of elite gatekeepers. RELATED: One reason for Americans to supprt TPP? Absolving US sins in Vietnam. But it is also a series of elections among discrete actors with divergent interests, and that’s led to some high-stakes politicking in the last month. Though just 1,510 delegates are voting in the current party congress, they represent a membership of 4.5 million Vietnamese. That’s just a fraction of the 91.7 million people that comprise Vietnam’s population, but it’s notable that the selection process has left some room for surprise. The most audacious, perhaps, has been the tussle for power at the top, with outgoing prime minister Nguyễn Tấn Dũng gunning for the most powerful position — general secretary. The current general secretary, Nguyễn Phú Trọng, however, has been less than enthusiastic about ceding the role after just five years in the office, and international analysts had thought Dũng’s elevation as general secretary more likely than not throughout 2015. Given that Dũng is essentially term-limited as prime minister, the only options for him seemed to be up — or out. So after a series of internal machinations, Dũng seems now out of a job — and out of both of the central committee and the politburo after a decade serving as prime minister. 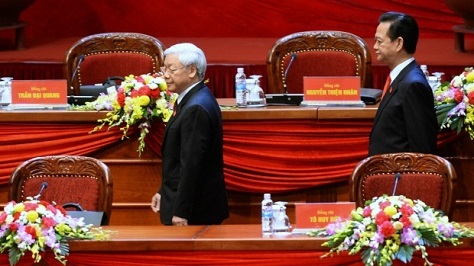 An unofficial rule that Vietnam’s top party brass retire after age 65 means that both Trọng (age 71) and Dũng (age 66) were never likely to remain long at the top echelons of party leadership. But it’s a disappointment for a man that businessmen and global outsiders, in particular, had come to regard as the best of Vietnam’s ruling Communists. In his decade as prime minister, Dũng developed a reputation as relatively reformist and pro-Western. His tenure coincided with a wave of liberalization both at home and in Vietnam’s international relations. Shortly after taking power in 2006, Dũng oversaw Vietnam’s formal accession to the World Trade Organization, and he has been a leading proponent of Vietnam’s participation in ongoing negotiations to conclude the Trans-Pacific Partnership, which could bring greater economic development and middle-class job opportunities to Vietnam, a country that still depends on much of its income from coffee (it’s the world’s largest exporter), rice and cheap manufacturing. Though the country also resolved a long-simmering border dispute with China, Dũng has generally improved US-Vietnamese bilateral relations in a bid to contain China’s influence, and Trọng himself even traveled to Washington for the first time since the two countries ended their bloody Cold War-era conflict in the mid-1970s. US president Barack Obama is even expected to visit Hanoi in May, one of the highlights of his final year in office. Hard-line conservatives within Vietnam’s ruling party may be thrilled to see Dũng sidelined, which clears the way for Trọng’s reelection as general secretary, though even that is not certain until the party congress ends on Thursday. It’s reasonable to expect that Trọng may not serve until the next party congress expected in 2021, when he will be 76 years old. But Dũng’s reputation as a reformer has always been somewhat less than consistent. Reforms during Dũng’s premiership did not extend to political liberalization, and internet censorship worsened with new regulations in 2013 forbidding online discussion of political events. While Vietnam today feels less like an authoritarian police state than North Korea or even the People’s Republic of China, Dũng’s government cracked down on dissidents and democracy activists in several high-profile incidents. Moreover, Dũng has championed large, public-sector behemoths that critics have argued facilitate widespread corruption within the party system — corruption that, they allege, also extends to the prime minister’s family. Indeed, Dũng’s star dimmed somewhat in 2010 after a state shipbuilding company, Vinashin, was nearly bankrupted amid allegations of profits being skimmed for personal gain. But for a country as opaque as Vietnam, with one of the world’s few old-school communist governments, Trọng’s apparent resilience could be a signal for the country’s future policy direction. It may mean that Vietnam’s ruling elites believe even limited reforms under Dũng were too much and too soon, though TPP accession will require Vietnam to lock in its commitment to rule-of-law reforms and the kind of deeper liberalization and privatization that it has so far shunned. Or it may mean that the delegates didn’t want to deliver too much power to a prime minister who’s been developing a growing profile for a decade as the country’s most respected leader abroad and who could wield extraordinary power as general secretary, thereby upsetting the balance in Vietnam’s government-by-consensus model. Or it may mean that party leaders do not want to promote someone whose relatively hawkish tone on China has pulled Vietnam closer to the United States and away from their mutual Communist allies to the north. After all, China still wields significant economic influence over Vietnam. Or it may mean that delegates and the central committee are eager to pass the leadership (including, eventually, the top position of general secretary) to a younger generation, just as Dũng’s rise in 2006 marked a transition to a postwar generation of party officials. Or it may mean very little at all, other than a contest of personalities. Given the decades-long push to open Vietnamese markets on ‘Chinese-style’ state capitalist lines, the most likely outcome is that neither Trọng’s reelection or Dũng’s victory means much to Vietnam’s long-term trajectory. One of four current deputy prime ministers, Nguyễn Xuân Phúc, is expected to take the premiership later this week. 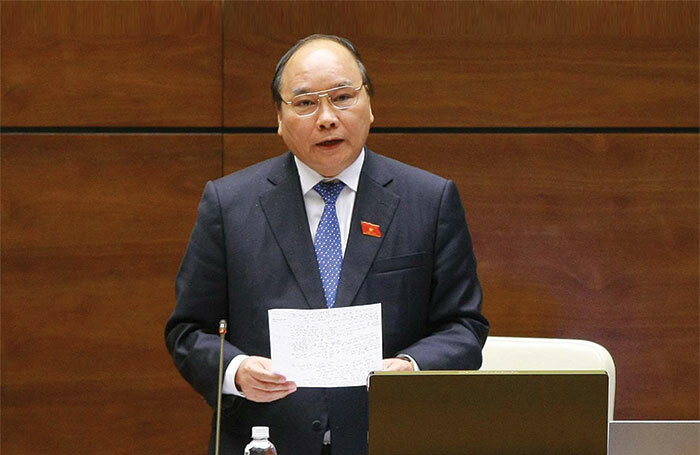 whether Trọng will stay on as general secretary, though we will not necessarily know about any deals that could see Trọng step down between now and the expected 13th party congress. Those appointments, which will be duly ratified by Vietnam’s National Congress later this year as a formal matter, will not necessarily tell us so much about where Vietnam may or may not be headed. But the extenuated tussle between Dũng and Trọng, far more open and public than any before it (and more public than any fight for the Chinese Communist Party’s leadership, for example) shows that there is real political competition in Vietnam, even at its top levels. Alexis Tspiras’s victory in Sunday’s snap elections in Greece is reminiscent of Richard Wagner’s four-opera marathon Ring cycle — at the end of hours of drama, the ring ends up more or less right where it began, with the Rhinemaidens. So it was in Greece, where voters have faced a tumultuous eight months under the first Tsipras government that began when Tspiras led the fiercely anti-austerity SYRIZA (the Coalition of the Radical Left — Συνασπισμός Ριζοσπαστικής Αριστεράς) to a near-landslide win in January’s parliamentary elections. Influenced by hardline academic Yanis Varoufakis, his initial finance minister, Tsipras tried (and failed) to extract concessions from European lenders with respect to the often harsh conditions tied to Greece’s first two bailouts. Back in January, Tsipras promised Greek voters that he would reduce the country’s austerity conditions while keeping Greece within the eurozone. However, with a looming default to the International Monetary Fund in late June, Tsipras called a July 5 referendum to give voters a chance to weigh in on the terms that eurozone finance ministers were offering Greece in exchange for extending its second bailout. Though Tsipras won a resounding “No/Oxi” against the bailout deal, the political victory came at a cost. His government was forced to introduce capital controls within hours of calling the referendum, and Greece officially defaulted on its IMF payment. During the nine-day referendum campaign, Greece’s financial condition deteriorated so much that Greece faced its most serious risk in five years of being pushed out of the eurozone. Dismissing Varoufakis in favor of the more moderate Euclid Tsakalotos, Tsipras reversed course and ultimately entered talks for a third bailout of €86 billion, with at least a vague, face-saving promise to consider debt relief later this year. The new bailout, in turn, led to a massive rebellion within SYRIZA, so much so that Tsipras needed opposition support to enact the key parliamentary votes on the third bailout. By the end of the summer, former energy minister Panagiotis Lafazanis and 24 far-left SYRIZA MPs, including the fiery parliamentary speaker Zoe Konstantopoulou, split into a new party, Popular Unity (LE, Λαϊκή Ενότητα), dedicated to reintroducing the drachma. 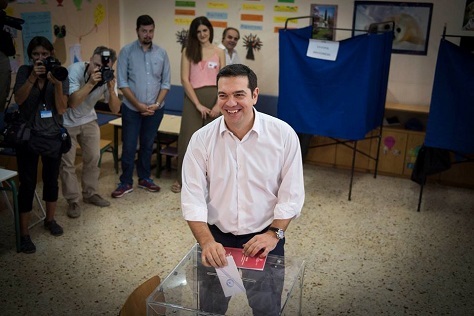 As a result, Tsipras called snap elections for September 20 as a way of winning an electoral mandate for his considerable volte face and as a way of consolidating his control over the increasingly centrist SYRIZA, purged of its far-left wing. So, after all of that, what happened? Not much. 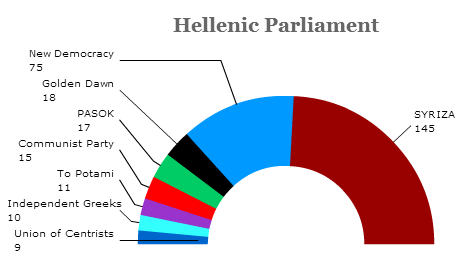 Despite a turnout that was around 800,000 lower than in January, the end result was a Hellenic parliament that now looks almost exactly the same as it did when Tsipras resigned late last month to call elections. Defying polls that showed SYRIZA tied with the center-right New Democracy (ND, Νέα Δημοκρατία), Tsipras’s party (newly purged of its anti-bailout rebels) defeated ND by a margin of over 7% — SYRIZA lost just 0.88% support versus the January result, ND gained merely 0.29%. That was enough for SYRIZA to win 145 seats, just a loss of four from January, and strong enough that Tsipras will continue to govern with the same junior partner, the ‘anti-austerity,’ right-wing nationalist Independent Greeks (ANEL, Ανεξάρτητοι Έλληνες). Despite fears that ANEL’s support would fall below the 3% threshold to enter parliament, the party cleared the hurdle and will lose just seven seats. 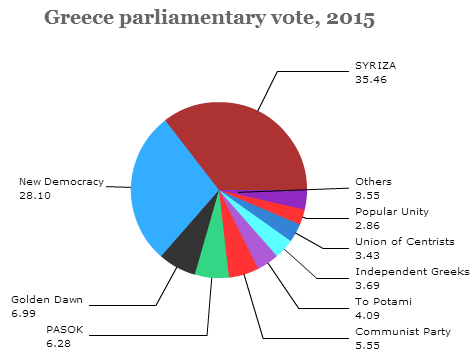 Together, it’s enough for a fragile majority, but the best news for Tsipras is that the SYRIZA rebels in Popular Unity fell just short of the 3% hurdle. One solution to Moldova’s problems? Just join Romania. Photo credit to adrianhancu / 123RF. By just about any measure, Moldova’s first quarter-century as an independent state has been inauspicious long before last weekend’s parliamentary elections. Emerging from the Soviet Union as a new state engaged in a war with separatists in Transnistria, Moldova is today the poorest country on continental Europe, and successive governments have left the country with antiquated and corrupt institutions that culminated in widespread protests (pictured above) and a political crisis in 2009. In 2014, no country in the former Soviet Union, including Ukraine, is perhaps more at risk from Russian aggression. 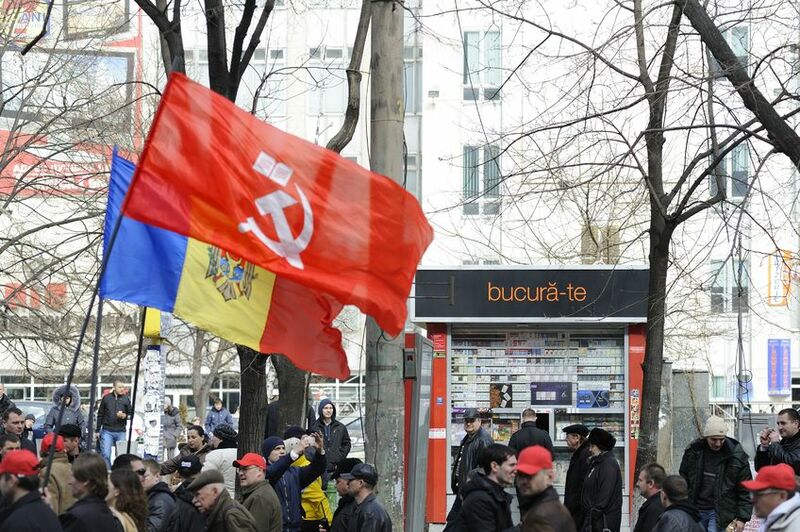 Though a coalition of three relatively pro-European parties appear to be moving forward to form a governing coalition, the winner in last Sunday’s vote was the Partidul Socialiştilor din Republica Moldova (PSRM, Party of Socialists of the Republic of Moldova), formed in 1997 and a fringe party until it received an endorsement from Russian president Vladimir Putin. 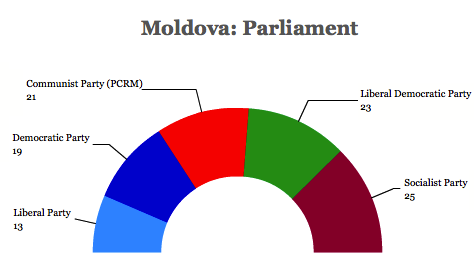 The Socialists will enter Moldova’s 101-member Parlamentul (parliament), with 25 seats, the largest of five parties in the chamber. Since most of the pro-Russian parts of Ukraine are still engaged in a low-grade revolt against Kiev’s pro-Western government, it’s not a surprise that the results of October 26’s snap parliamentary elections were good news for pro-Western parties. The message of the parliamentary election isn’t quite as awful as ‘Ukraine is doomed,’ but it’s hard to take away a lot of comfort that the troubled country is on the right path to political unity and economic progress. 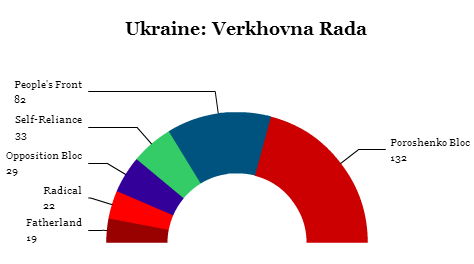 With turnout across eastern Ukraine depressed, most acutely in Donetsk and Luhansk, it makes sense that Ukraine’s new president emerged with the largest number of projected seats in Ukraine’s unicameral parliament, the Verkhovna Rada, after Sunday’s elections. The Petro Poroshenko Bloc (Блок Петра Порошенка) formalizes the electoral alliance that Poroshenko made prior to the May 25 presidential election with heavyweight boxing champion Vitali Klitschko, who was elected Kiev’s mayor earlier this year. But the new government of Ukraine will invariably look much like the old one — a coalition between Poroshenko and former prime minister Arseniy Yatsenyuk, whose resignation triggered the snap elections earlier this summer. Then, as now, it’s something of a mystery why new elections were so pressing when Kiev is still struggling to regain control of the eastern regions from pro-Russian separatists. RELATED: Is Yatsenyuk’s resignation good or bad news for Poroshenko? 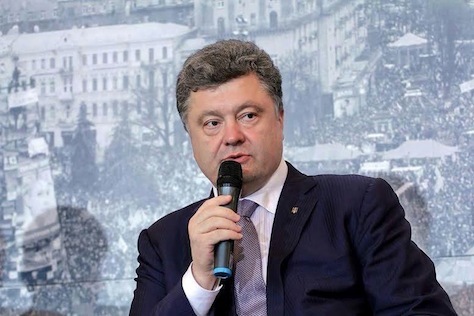 RELATED: Can Poroshenko deliver his fairy-tale promises to Ukraine? Yatsenyuk’s bloc, the People’s Front (Народний фронт), won more absolute votes, according to preliminary results, and another new bloc, Self Reliance (Самопоміч, ‘Samopomich‘), the vehicle of Lviv mayor Andriy Sadovyi emerged as the surprisingly strong third-place winner. Depending on your age, your nationality and your perspective, you’ll remember Eduard Shevardnadze, who died three days ago, as either a progressive reformer who, as the Soviet Union’s last foreign minister, helped usher in the period of glasnost and perestroika under Mikhail Gorbachev that ultimately ended the Cold War, or a regressive autocrat who drove Georgia into the ground, left unresolved its internal conflicts, and ultimately found himself tossed out, unloved, by the Georgian people after trying to rig a fraudulent election in a country was so corrupt by his ouster that the capital city, Tbilisi, suffered endemic power outages. Both are essentially correct, which made Shevardnadze (pictured above) one of the most fascinating among the final generation of Soviet leadership. It’s not just a ‘mixed‘ legacy, as The Moscow Times writes, but a downright schizophrenic legacy. 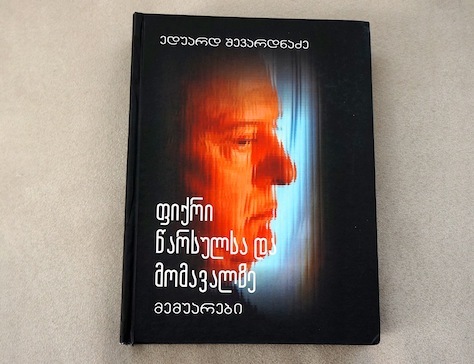 His 2006 memoirs, ‘Thoughts about the Past and the Future,’ have been sitting on my bookshelf for a few months — I ordered the book from a Ukrainian bookstore, and I hoped to find a Georgian language scholar to help translate them. I would still like to read an English translation someday, because I wonder if his own words might offer clues on how to reconcile Shevardnadze-as-visionary and Shevardnadze-as-tyrant. Gorbachev, who called Shevardnadze his friend, said Monday that he had made “an important contribution to the foreign policy of perestroika and was an ardent supporter of new thinking in world affairs,” Interfax reported. 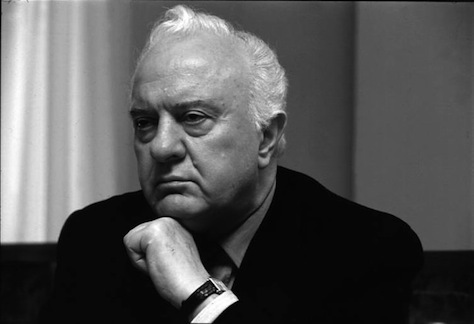 The former Soviet leader also underlined Shevardnadze’s role in putting an end to the Cold War nuclear arms race. Did Hillary Clinton just lose Florida in the November 2016 election? 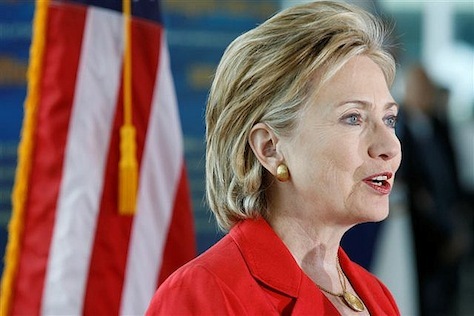 The big headline today is that former US secretary of state Hillary Clinton’s upcoming memoirs, which will be released June 10, will state unequivocally that she believes she was ‘wrong’ about her vote authorizing force in Iraq in 2003. But the potentially bigger news is that Clinton’s memoirs also state that she unequivocally opposes the US embargo on Cuba — a position that few politicians in the past half-century have dared, lest they draw the wrath of anti-Castro voters in south Florida, a key constituency in a state with 29 electoral votes, more than one-tenth of the electoral votes that Clinton would need to become the 45th president of the United States. In excerpts of the book “Hard Choices” obtained by The Associated Press ahead of its release next week, Clinton writes that the embargo has given communist leaders Fidel and Raul Castro an excuse not to enact democratic reforms. And she says opposition from some in Congress to normalizing relations — “to keep Cuba in a deep freeze” — has hurt both the United States and the Cuban people. She says the 2009 arrest by Cuba of USAID contractor Alan Gross and Havana’s refusal to release him on humanitarian grounds is a “tragedy” for improving ties. 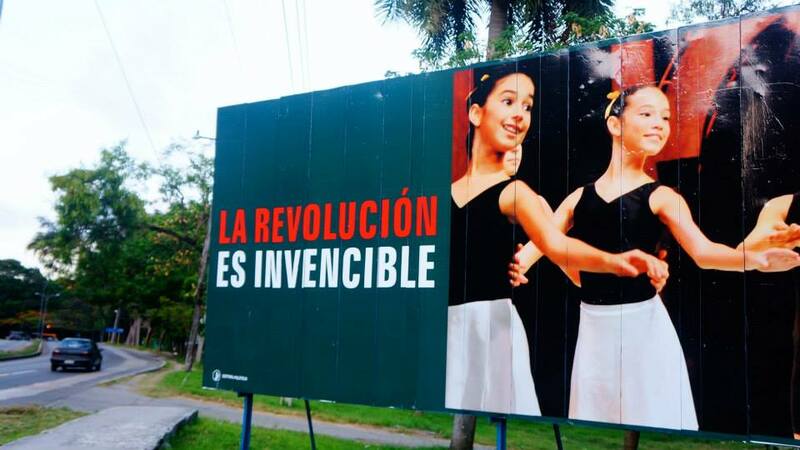 What Clinton writes is an understatement — regardless of your view on the Castros, it’s impossible to deny that the US embargo has given the Castros the kind of anti-imperial patina that have transformed them from run-of-the-mill socialist authoritarians into champions of Latin American sovereignty. If you were one of the few voters left in Donetsk prepared to cast a vote in Sunday’s Ukrainian presidential election, the chances are fair that you were considering a vote for Petro Symonenko. Turchynov said on May 18 that he had sent the request to the Justice Ministry and that he believed “a Ukrainian court will put an end to this matter.” According to the presidential website, the country’s security service has documented the party’s role in the separatist movements in the east and determined that several party members have acted “to the detriment” of Ukraine’s interests. 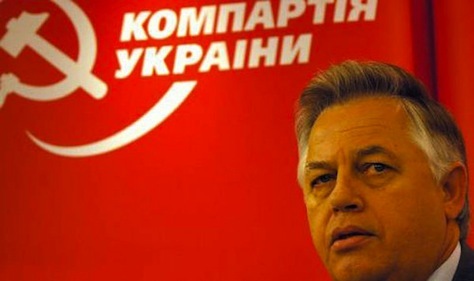 Ukraine’s Communist Party is an unreconstructed Soviet-style party, which draws support from the south and the east of the country, where ethnic Russians are predominant and where rebels are now giving the Ukrainian central government so much trouble. The Communists win votes by appealing to nostalgia, especially among older voters, for the more predictable days of the Soviet Union. 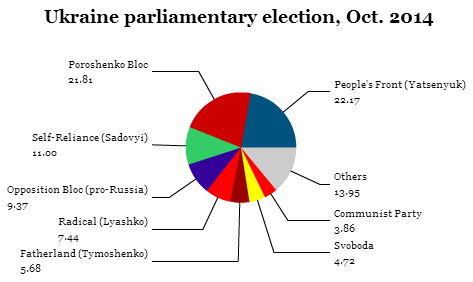 As you might imagine, it’s a party that has generally won a decreasing share of the vote in Ukrainian elections as fewer and fewer Ukrainians from the Soviet era are still around to vote for it, not unlike Gennady Zyuganov’s Communist Party in Russia. Though Symonenko (pictured above) made it to the runoff in 1999 against former president Leonid Kuchma and won 38.8% of the vote, he won just 4.97% in the 2004 election and otherwise overshadowed by the Orange Revolution, and he won just 3.54% in the 2010 election. In the most recent 2012 parliamentary elections, the Communists won 32 seats the 450-member Verkhovna Rada, Ukraine’s unicameral parliament, and they allied with former president Viktor Yanukovych, then the leader of the eastern-based Party of Regions (Партія регіонів). 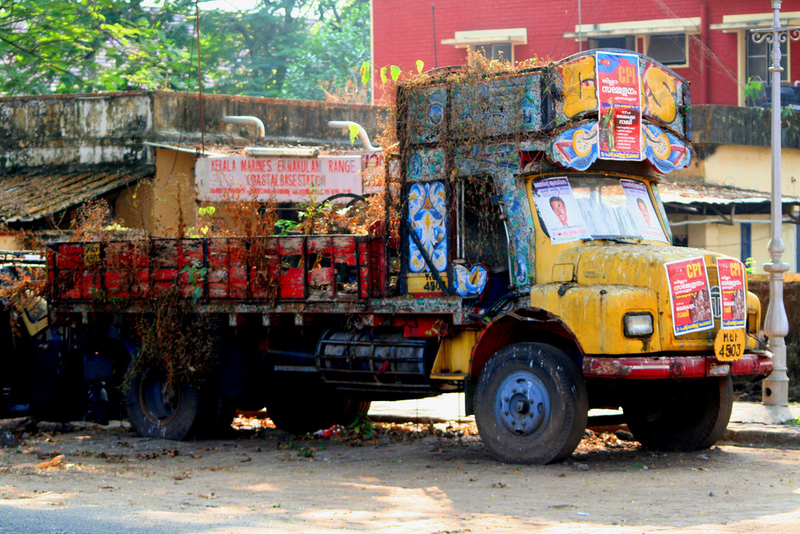 The first two phases of India’s national parliamentary elections seemed less like an appetizer than an amuse bouche. But after a slow start that saw voting in just 13 constituencies confined to seven relatively isolated states in India’s far northeast, the third phases gets underway today with a blast. Unlike the first two rounds, the April 10 phase, which will determine 91 out of 543 constituencies in the Lok Sabha (लोक सभा), will have a real impact in deciding India’s next government. 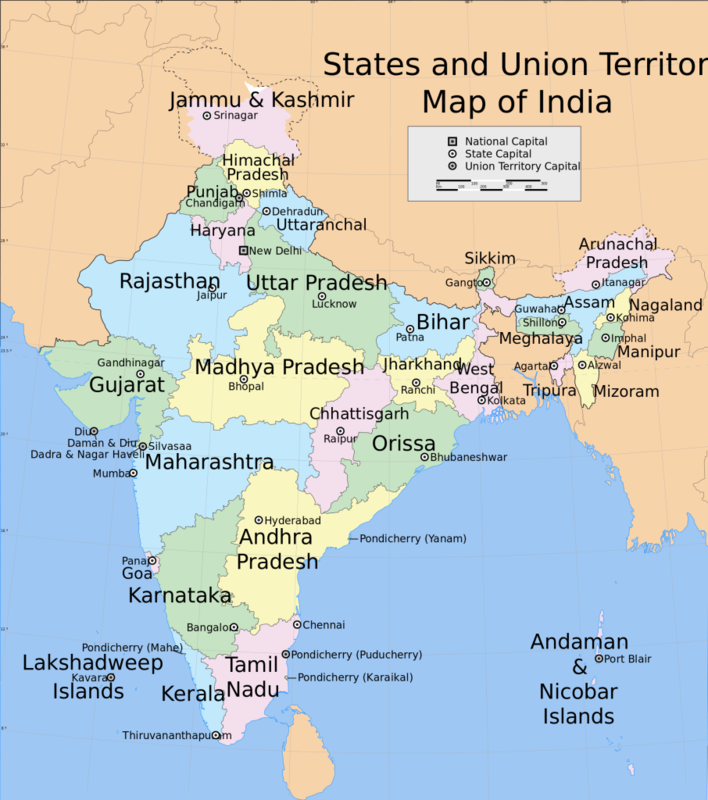 Theoretically, today’s largest prize is the southern state of Kerala (pictured above), where all 20 constituencies will hold elections today in the tropical southwestern state of 33.4 million. Voting today ended in the second phase of India’s marathon election. So what was at stake in the first two rounds? Bangladeshi migration into the region has also been one of the more politically fraught issues in recent years. Assam selected representatives in five out of 14 constituencies. Tripura selected representatives in one of its two constituencies. The state is governed by neither of India’s major parties, but instead by the Communist Party of India (Marxist) (CPM, भारत की कम्युनिस्ट पार्टी (मार्क्सवादी), which could win both seats. Arunachal Pradesh selected both of its representatives. Meghalaya selected both of its representatives. Manipur selected one of its two representatives. Mizoram was scheduled to vote for its sole representative, but that vote was been delayed until April 11. Nagaland selected its sole representative. The Naga People’s Front (NPM), a regional party and a member of the BJP’s National Democratic Alliance (NDA) dominates the state. 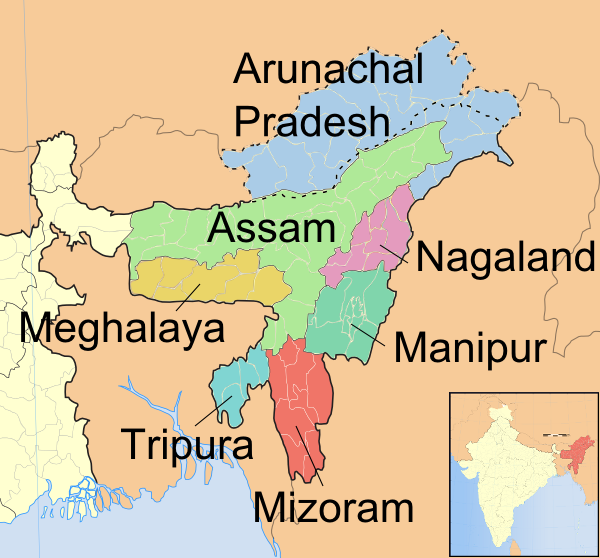 The seven states contribute just 24 seats to the 543-member Lok Sabha (लोक सभा), and the key prize is Assam, with 14 seats. Although the governing Indian National Congress (Congress, भारतीय राष्ट्रीय कांग्रेस) is facing annihilation elsewhere across the country, its chances in Assam look good. The largest pre-election poll, conducted by NDTV, estimates that Congress could actually make real gains, winning up to 12 seats in the state. Tarun Gogoi, the state’s popular chief minister, has held power since 2001, and Congress dominates the state’s legislative assembly. The Bharatiya Janata Party (the BJP, भारतीय जनता पार्टी) has only a minor presence in the state, and competes against several Assam-based regional parties. That may be changing somewhat as Narendra Modi, the BJP prime ministerial candidate, and his allies wage a national campaign, but Assam will certainly be one of the few states where Congress seems destined to shine, notwithstanding its potential collapse at the national level. No matter who wins tomorrow’s presidential election in Chile — and by what margin — we will know much more about the nature of the Chilean government over the next four years from the result of the other elections that will be held. 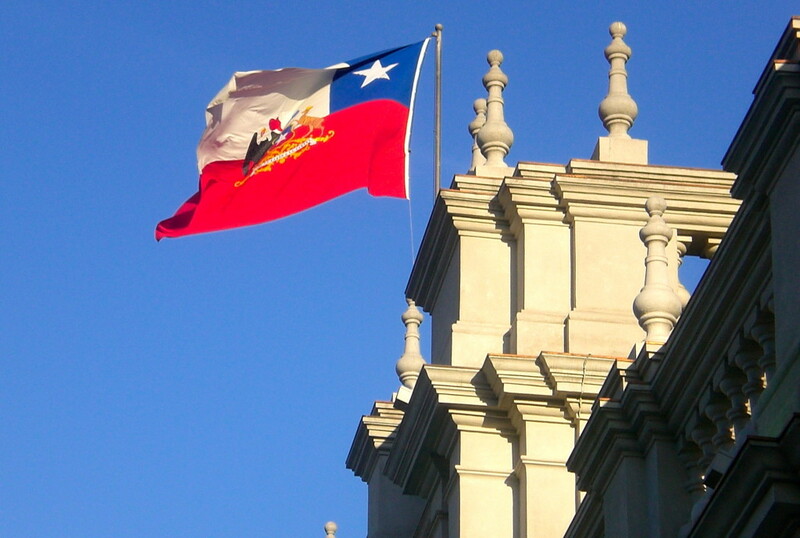 Those are the parliamentary elections, in which Chileans will elect all 120 members of the Cámara de Diputados (Chamber of Deputies), the lower house of Chile’s parliament, and half of the 38-member Senado (Senate), the upper house. The inability of current president Sebastián Piñera to win absolute majorities in the Chilean parliament in the previous December 2009 elections constrained his legislative ability over the past four years to enact the kind of market liberalization or other reforms that Piñera might otherwise have pursued. Likewise, though former president Michelle Bachelet is the overwhelming favorite to return to La Moneda, the Chilean presidential palace, the extent to which her administration will be able to enact campaign promises depends in large part on her ability to win a parliamentary majority for the broad left coalition that she leads, Nueva Mayoria (New Majority), which is essentially a rebranding of the broad center-left coalition of Chilean parties, the Concertación de Partidos por la Democracia (Concert of Parties for Democracy) — with the recent addition of the Partido Comunista (Community Party) and a couple of other minor parties. Though it seems likely that Bachelet’s coalition will win a majority in both houses, no one knows how large their margin will be — and, of course, with the widening of the previous Concertación to include the Communists and other far-left groups, maintaining unity within Bachelet’s coalition will be even harder in the years ahead. That’s especially true in light of the lofty platform that Bachelet has outlined during her campaign — Bachelet hopes to achieve major tax reform (an increase in the corporate tax rate from 20% to 25% and a cut in the maximum income tax rate from 40% to 35%), education reform (free access to university within the next six years) and, most ambitiously, a new Chilean constitution. Constitutional changes require a two-thirds majority in both houses, an outcome that’s extremely unlikely, and even large-scale reforms, such as the kind Bachelet hopes to enact for Chilean education, require a four-sevenths majority. That, in turn, is due to Chile’s electoral system, which is designed to avoid large majorities in either direction. In respect of the Chamber of Deputies, Chileans vote in 60 constituencies that elect two members each — Chile’s unique binomial system that Pinochet’s advisers stitched into Chile’s current constitution before ceding power to civilian leadership in 1989. While each coalition can run two candidate in each district, the typical result is that each major coalition each wins one seat in each constituency — one coalition will only be awarded both seats if it defeats the second coalition by a two-to-one margin. A similar system exists for the Senate — Chileans elect two senators in each of 19 senatorial districts. Normally, party leaders face the boot when they lose elections, not after they win them. But that’s what happened in the Czech Republic, when the center-left Česká strana sociálně demokratická (ČSSD, Czech Social Democratic Party) narrowly topped the country’s parliamentary elections in late October with just over 20% of the vote. Though the Social Democrats won the election, they took just 50 out of 200 seats in the Poslanecká sněmovna (the Chamber of Deputies), the lower house of the Czech parliament, and only nearly edged out a new populist, anti-corruption, business-friendly party, the Akce nespokojených občanů (ANO, Action of Dissatisfied Citizens), founded just two years ago by wealth businessman Andrej Babiš. That left the leader of the Social Democrats, Bohuslav Sobotka, in a difficult position. The fractured result means that the Social Democrats will have to find at least another 50 deputies in order to govern — and despite the willingness of the Social Democrats to work alongside the Komunistická strana Čech a Moravy (KSČM, Communist Party of Bohemia and Moravia) for the first time in the post-Soviet era, the 33 seats that the Communists won won’t alone be enough to float a Social Democrat-led government. But what left his leadership truly in question was a split between two wings of his party, a pro-Sobotka wing that hopes to keep its distance from the Czech Republic’s new president, Miloš Zeman, and a pro-Zeman wing that seeks closer collaboration between the two. Zeman led the Social Democrats over a decade ago, and he served as Czech prime minister from 1998 to 2002. A falling-out with the ČSSD leadership in the mid-2000s, however, caused Zeman to quit the Social Democrats and form a new party. 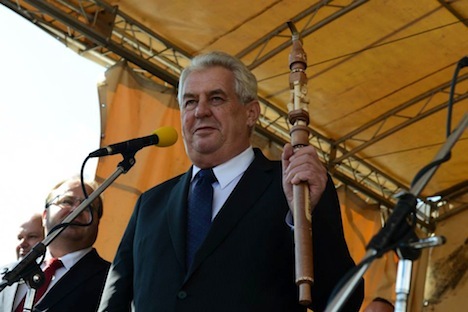 Zeman triumphed in his own right in the January 2013 presidential election — the first such direct election in Czech politics — and has spent the greater part of the year trying to muscle even more power for the Czech presidency at the expense of the parliamentary government. 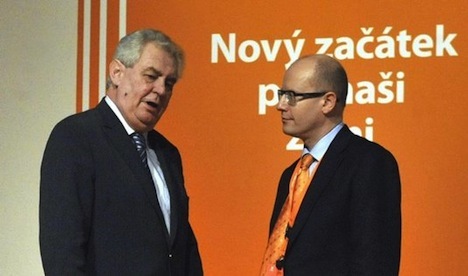 So almost immediately following the election, Zeman (pictured above, left, with Sobotka) and top members of the pro-Zeman wing of the Social Democrats, including the party’s deputy leader Michal Hašek, held a secret meeting. That preceded a call for Sobotka to step down as leader on the basis that Sobotka’s personalized, centralized campaign led to a poorer-than-expected result. The ‘coup’ soon fell apart, though — Hašek and other participants in the secret meeting with Zeman lied about it, Sobotka rallied his supporters against Zeman’s interference in internal party affairs, Czech overwhelming blamed Hašek for causing political instability and so, for now, Sobotka remains leader and Hašek has stepped down as deputy chair. In September, voters in some of Europe’s most economically stable countries (Germany, Austria and even Norway) happily turned out to support their incumbent governments. 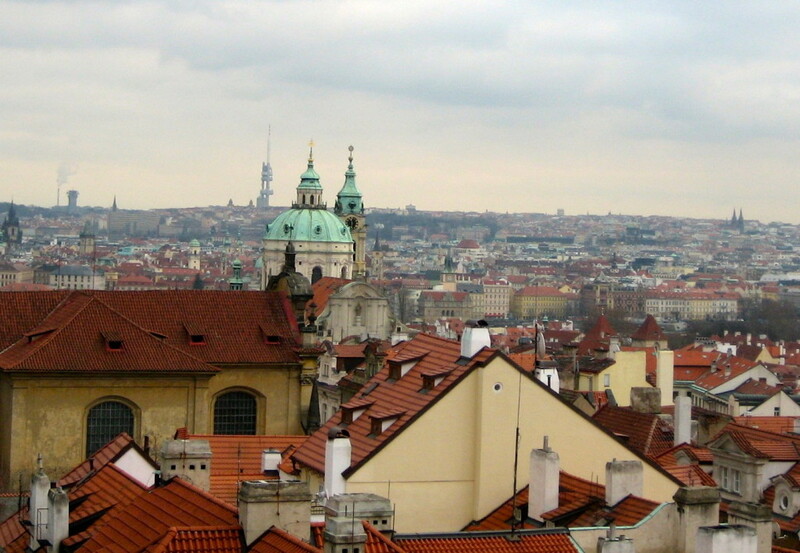 But in October, the Czech Republic’s election demonstrates that most of Europe remains under incredible social, economic and political stress. Czech voters selected members to the lower house of the Czech parliament between two days of voting on Friday and today. The result is a fragmented mess — it’s the most fractured election result since the May 2012 Greek parliamentary election, which resulted in a hung parliament and necessitated a second set of elections in Greece just a month later. Seven different parties — ranging from free-market liberals to communists to political neophytes — won enough votes to gain seats in the 200-member Poslanecká sněmovna (the Chamber of Deputies), but it’s not clear who will be able to form a government. Voters clearly rejected the previous center-right government’s approach to austerity and budget discipline, but split over what they want to replace it. Turnout fell below 60% for the first time in over a decade. In purely political terms, the result gives even more power to Czech president Miloš Zeman (pictured above), who came to office after winning the country’s first direct presidential election in January. On the list of ‘winners’ and ‘losers’ in this weekend’s election, perhaps no one is a greater winner than Zeman, who is entitled to appoint the prime minister and therefore, will shape the first steps in the coalition negotiations. Since taking office, Zeman has pushed to empower the Czech presidency at the expense of the Czech parliament. After the country’s center-right government fell earlier this summer, Zeman appointed Jiří Rusnok as his hand-picked technocratic prime minister, but Rusnok’s (and Zeman’s) inability to win a vote of confidence led to this weekend’s snap elections. Rusnok has served as a caretaker prime minister for the past three months, and he could wind up serving quite a while longer if no governing coalition can be formed. 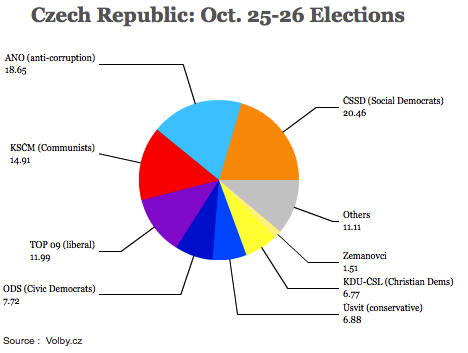 The center-left Česká strana sociálně demokratická (ČSSD, Czech Social Democratic Party) technically won the election — but just barely, and with far less support than polls showed just a month ago. Despite winning more votes than any other party, the Social Democrats won just one out of every five votes, and it’s the party’s worst result in two decades. It’s not necessarily clear that the party’s leader, former finance minister Bohuslav Sobotka, will even have the chance to form a government. There’s simply no credible case that the Social Democrats have a mandate for much of anything. Though Zeman, a Social Democratic prime minister between 1998 and 2002, broke away from the Social Democrats only in 2007, the party remains divided over the extent to which it wants to associate with Zeman now that he holds the Czech presidency. What’s certain is that the poor result will weaken Sobotka, who leads the anti-Zeman wing of the party. That means Zeman could bypass Sobotka and appoint a friendlier Social Democrat as prime minister, such as deputy leader Michal Hašek or perhaps Jan Mládek, who was widely tipped to become the next finance minister. The real winner in today’s election is the Akce nespokojených občanů (ANO, Action of Dissatisfied Citizens), founded in 2011 by millionaire Andrej Babiš, which nearly overtook the Social Democrats in terms of support — they will hold just three fewer seats than the Social Democrats in the new Chamber of Deputies. Babiš is one of the wealthiest businessmen in the Czech Republic, and he’s led a ‘pox-on-all-your-houses’ campaign that rejects the mainstream Czech political elite as corrupt and dishonest. Babiš owns founded Agrofert, originally a food processing and agricultural company, but now a conglomerate that’s the fourth-largest business in the Czech Republic. Though his platform is relatively nebulous, he’s called for reforms to reduce corruption and end immunity for politicians from prosecution. It’s been a tumultuous year in Czech politics — a surveillance scandal involving the prime minister’s love triangle brought down the government, a power-hungry president elected in the first direct presidential election earlier this year is working to claw power away from the parliament, and what’s left of the Czech right boils down to a contest between an eccentric Bohemian aristocrat and a multi-millionaire entrepreneur. Though it sounds like the long-lost plot of a Leoš Janáček opera, it’s the backdrop to this weekend’s parliamentary elections, which should be no less dramatic than the events that shaped them.